Having problems docking your jet boat? Are you concerned that it responds too slowly or unpredictably at slow speed or in reverse? Are you tired of dreading, or even fearing the boat ramp? Is loading the boat on the trailer a nightmare? Would you like steering feedback and more control at planing speeds for water sport use? Would you like the boat to be predictable and responsive in all areas of operation? Are you afraid to let someone else operate your boat? Or worse, no one wants to drive, so you can't participate in any water sports? With our Cobra Jet Steering system for ROTAX engines/pumps and Sea-Doo 4-TEC engines you will be able to spend your time in the boat enjoying it rather than worrying about its lack of control. This simple, affordable, and easy to install system can make your boating experience a more relaxed and pleasurable one. Our stainless steel steering units were specifically designed to fit the nozzles of Sea-Doo jet boats and other makes equipped with the 4-TEC engines. These systems will help fill in the voids of jet boat steering without taking away from the jet boat experience. You can expect instant response in the steering while operating at slow speed, which is especially helpful when docking or loading on the trailer. You will also have feedback in the steering at speed, turning will be more precise, and towing tubes, wake boards, skiers, etc. will be more controlled when using our steering. Cobra Jet Steering sets are compatible with both single engine and twin engine boats. ONE SET WORKS ON EITHER SETUP! This time proven system provides the correct amount of added influence to allow you to enjoy your jet boat with added confidence and control. We chose to stay with this system for many years simply because it works so well and is very cost effective with no negative side effects like cancelling out the reverse control of the boat. Remember that the nozzles turn the opposite on a 4-TEC pump so the fins on a nozzle can cancel the reverse control quite easily. Remember you are turning your steering wheel the wrong way in reverse. 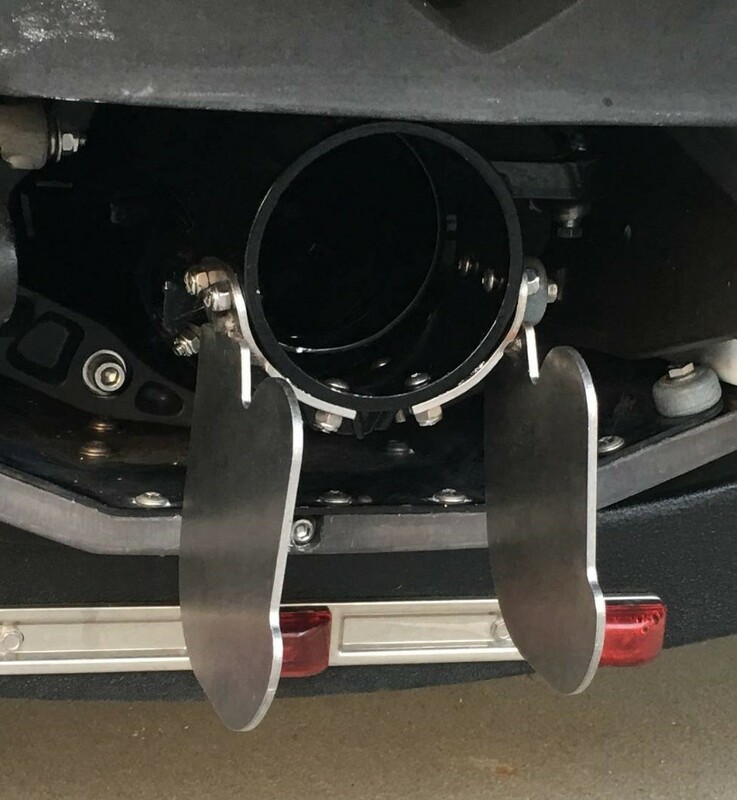 We designed the fins to be partially blocked by the reverse bucket when you are in reverse to address this problem. We also continue to use very small stainless steel button cap screws to attach the fins to the nozzles. The 4-TEC nozzles are very strong, so the small 3/16" holes for the screws will not harm the nozzle. This keeps the profile of the mounting of the fins on the nozzle at a minimum. This avoids causing extra drag or creating water spray behind the boat even when the fins are working at high speed and during water sport activities. Remember this also improves high speed handling so pulling tubes or skiers will be very easy. This system will transform your boat and make it even more fun to operate, and do it at a very affordable price. Even if you purchased new nozzles for about $100 each and shipped them to me for my free installation offer, the cost would be similar to other less-effective systems offered offered for twin engine 4-TEC setups, but honestly you do not need to waste your money on nozzles, or pay more for less steering. Lastly, adding this system to your boat will NOT void your warranty. In all the years I have done this I have never had one of these nozzles fail due to adding the fins or have any warranty issue arise.